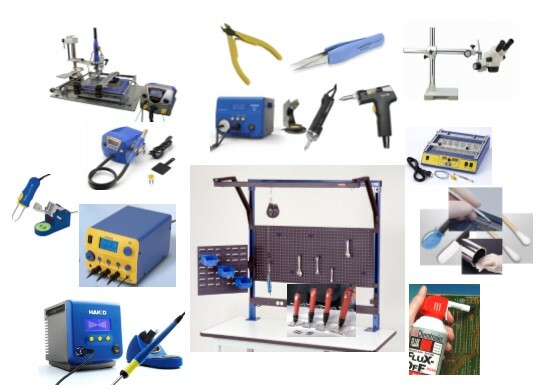 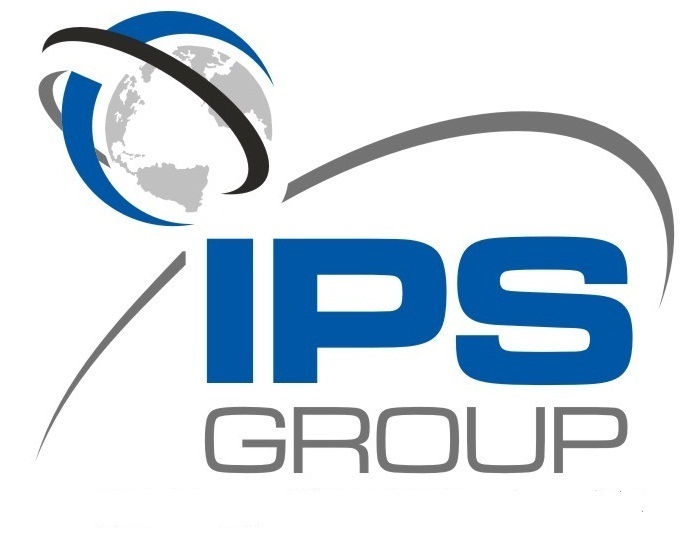 ESD Control Products and Test Equipment - A full selection of Mats,, Wrist Bands, Heel Grounders, Floor Finish, Smocks, Bags, Ionizers and Test Equipment. 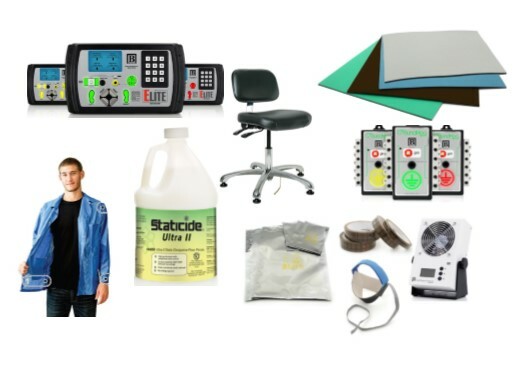 Our trained team can assist with ESD issues or even helping to set up your ESD Program. 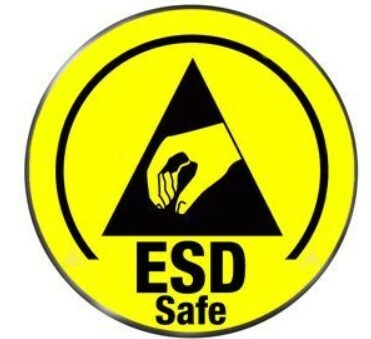 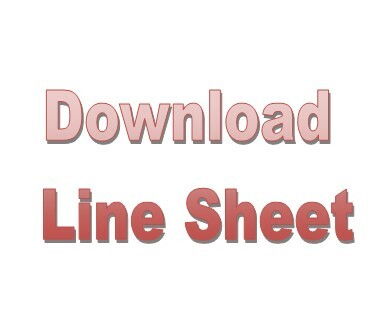 ESD Assessments are provided as a service to all of our customers. 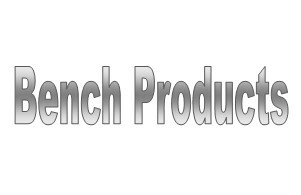 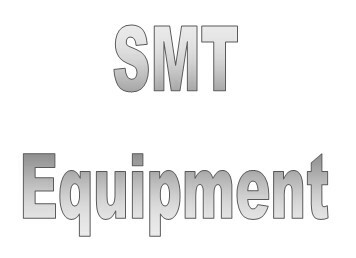 SMT Production & Test Equipment - SMT equipment including SPI, AOI, Depaneling, X-Ray Parts Counting and BGA Rework Systems. 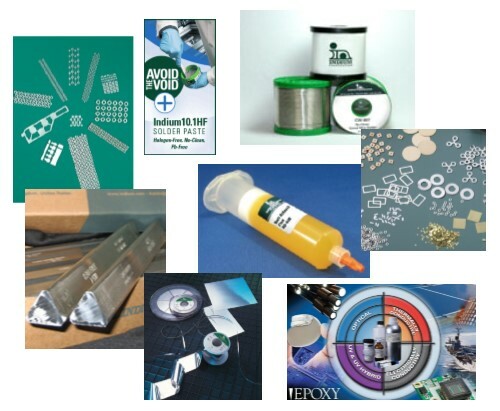 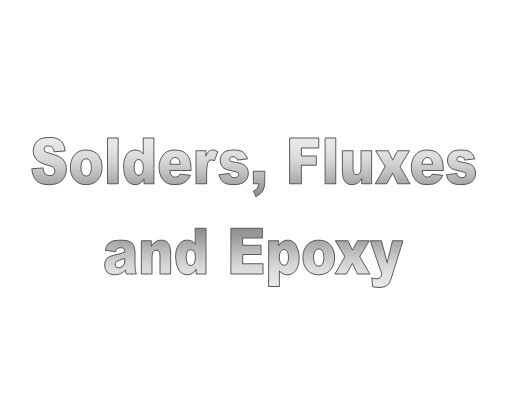 Solders and Epoxy - Solder Paste, Solder Bar, Cored Wire, Flux, Preforms, Ribbon, Gold Solder, Thermal Epoxy, Electrically Conductive Epoxy, Hybrid Epoxy and Optical Adhesives. 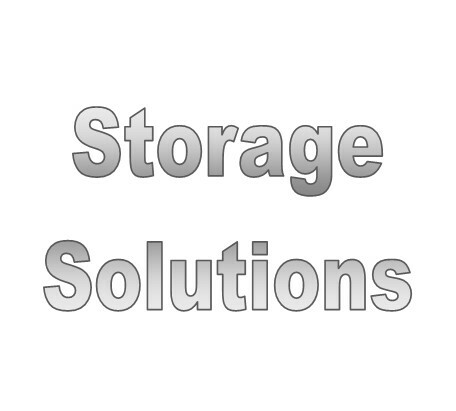 Storage Solutions from Carts to Pallets - Fiberglass tubs, trays and wash boxes. 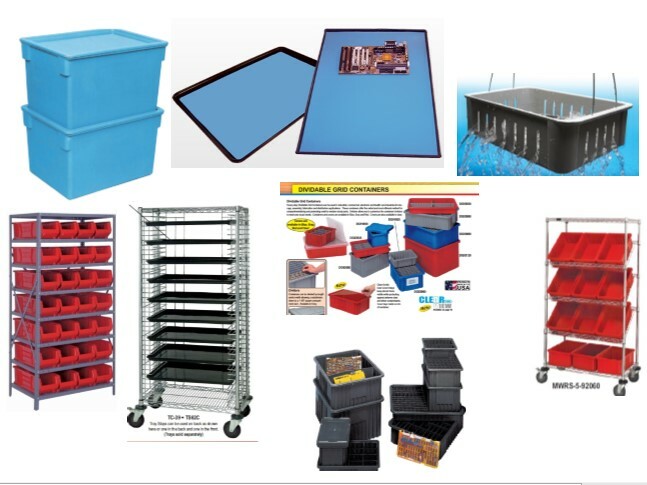 Plastic Totes and Bins from large to small in a variety of colors and ESD Safe series.